A perfect storage solution for all your data-storage needs, the PinStripe USB Drive makes transporting and sharing files simple. 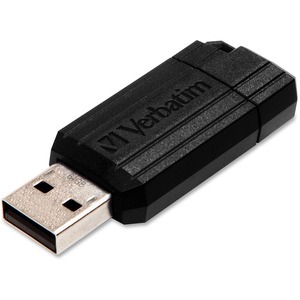 Push-and-pull sliding feature protects the USB connection when not in use, eliminating the need for a separate cap, which can be easily lost. Slim retractable design is compatible with Windows 8. Memory capacity is 64GB.